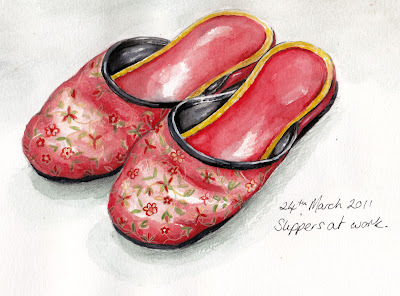 These look very comfortable as well as beautifully drawn and painted! They look very comfortable and cosy, very well done. Terrific, as usual! Both pictures! These are beautiful! They look comfortable enough; I wonder why Alex says they aren't? Alex: Have you been wearing your mother's shoes?